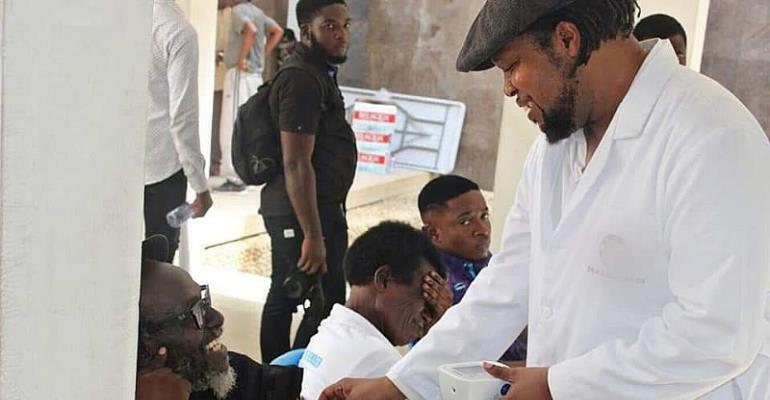 The Musicians Union of Ghana (MUSIGA) and The Ageing Musicians Welfare Fund (AMWEF) yesterday organised a health walk and medical screening for aged musicians in Ghana. The medical screening was spearheaded by “52 Ambulances” hitmaker, Knii Lante who doubles as a medical specialist. The award-winning singer decided to offer his medical expertise by way of appreciating the veteran stars many of whom, inspired him in his music journey. The event saw senior musicians like Pat Thomas, AB Crentsil, Alhaji Sidiku Buhari and many more turned out in numbers.